Grow Light Bulbs Stimulate Plant Growth For Applications Including Horticulture, Gardening, Food Production And More. Grow lights are made of high quality materials for long lasting durability and dependability. Units provide an artificial light source designed to stimulate plant growth emitting an electromagnetic spectrum for photosynthesis. For use in applications without naturally occurring light or where supplemental light is required. 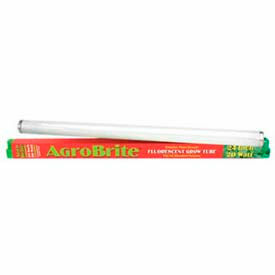 Available styles include Absolute Daylight Spectrum Grow Lite, Agrosun Dayspot Incandescent Bulb, Agrosun Fluorescent Tube, Bulb, Commercial System, Compact Fluorescent Bulb, Compact Fluorescent, Compact Fluorescent Spiral Bulb, Dual Arc Tube Super HPS Bulb and more. Wattages range from 2 to 1100. Base types are Medium (E26), Mogul (E39), Standard E26, T5 and T12. Dimensions vary per model.